Look, we feel your pain. 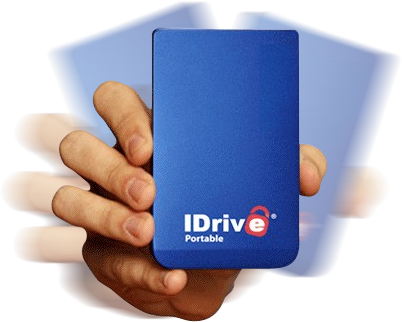 There's about a gazillion options when it comes to portable hard drives, but the IDrive Portable actually does differentiate itself from the masses in one particularly useful way. Aside from being the "thinnest and lightest portable USB drive in its class," this 0.3 pound unit houses 320GB of space on a 5,400RPM HDD, and it plays nice with Windows / OS X machines. Predictably, it features a one-click backup option for storing precious data outside of your PC, but unlike the other guys, this one also includes the ability to backup online for yet another layer of protection. Of course, that online bit will run you up to $4.95 per month, but we have to say the interface looks pretty swank. Anyhow, the device itself is listed as shipping within one to two days for $119.95, and all the nitty-gritty about the services is tucked away in the read link.